IMPORTANT - Restrictions on use This site is EXTREMELY SENSITIVE! USE FIELD L2 WITH WINDSOCK OR ONLY OPTION IS TO SIDE OR TOP LAND. 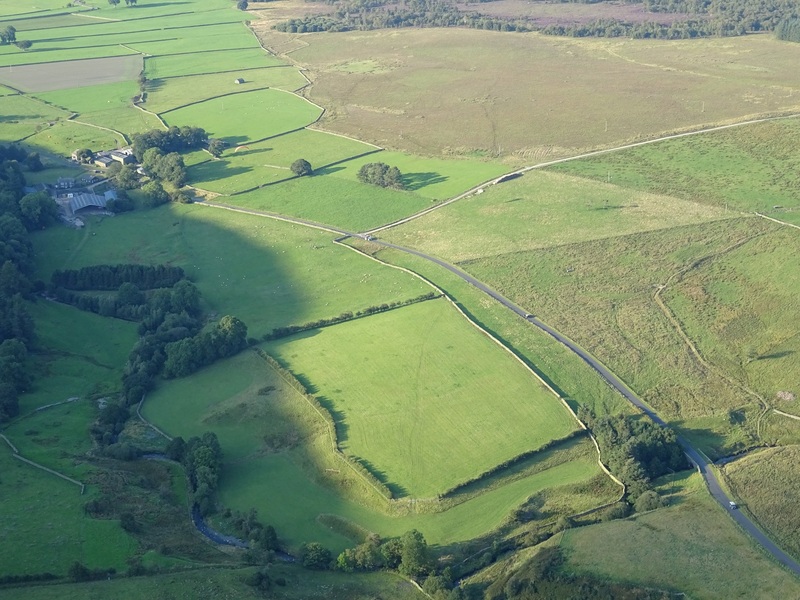 LOW BECKSIDE FARM WILL, where possible, provide an alternative field to L2 if it has stock in it. 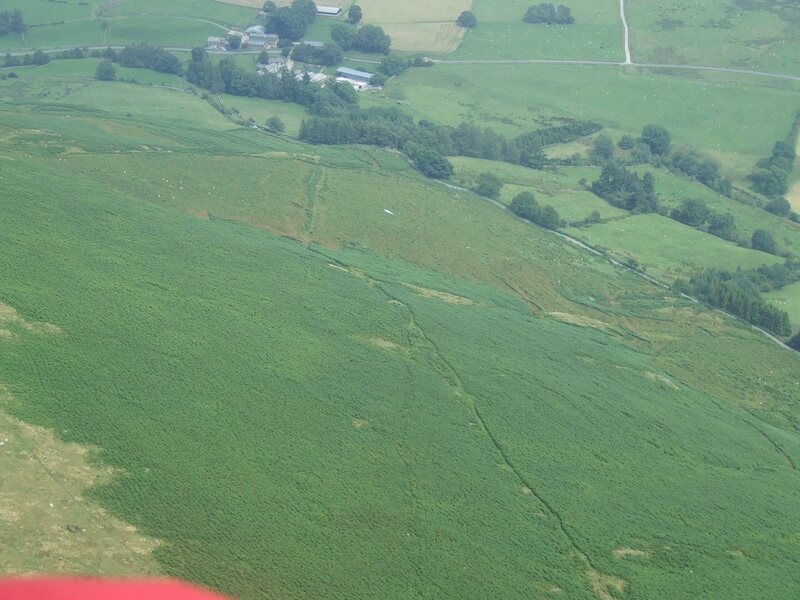 It is imperative that visiting pilots DO NOT FLY this site without first contacting the North Sites Officer. It has taken a lot of work to get this site back - it was very nearly lost for good. Please restrict numbers (10 at any one time as an ABSOLUTE maximum). Teaching groups please always give priority to qualified pilots due to numbers restriction. AN EXCLUSION ZONE EXISTS AROUND UNDERCRAG FARM DO NOT FLY IN THIS AREA (500M RADIUS AND 1000FT @ NY 363308). Contact North Sites Officer for more information (07966 153668). Old (near fellside) landing Field marked L1 is now Closed (effective from December 2015) after a serious landslide the farmer has re fenced the field. Please do not use this field as, to get back to the road, you need to climb over the farmer's fences, which is obviously NOT Acceptable. If John is not there and there is no stock in field L2 on the map, it is OK to put our windsock into this field. If L2 cannot be used due to stock, and Low BECKSIDETHE cannot provide an alternative, use fellside. An excellent site, renowned, like its neighbour Carrock, for light winds. Also thermals well. Wave and convergence are occasionally found at the south end. 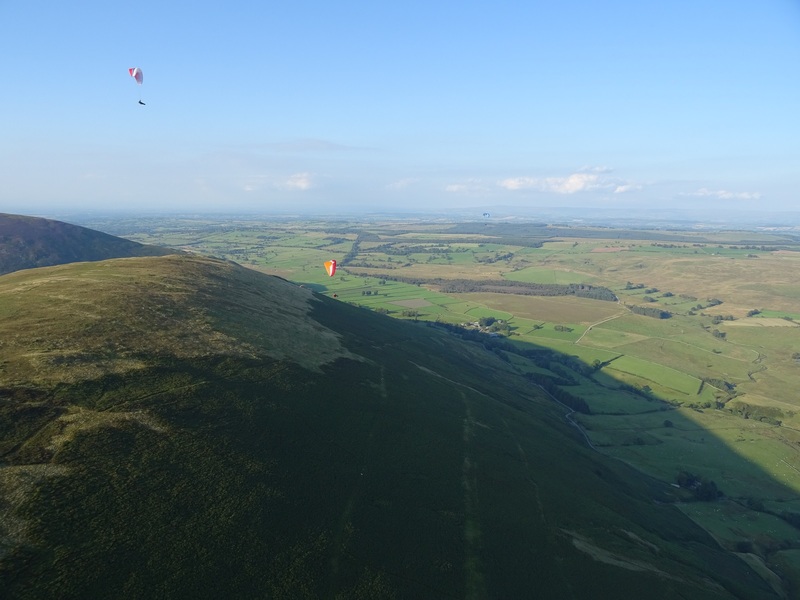 It is also possible to launch from the south end to fly Blencathra in SSE winds. Turn off the A66(T)Penrith to Keswick main road following signs to Mungrisedale. 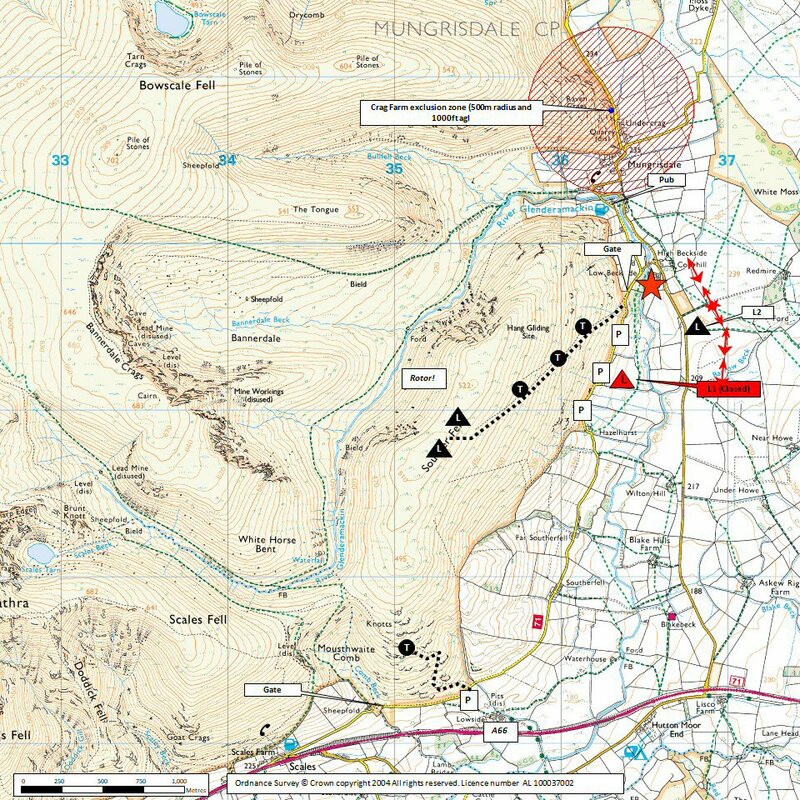 Follow minor road to Mungrisedale, then double back to follow a tarmac road (past a good pub) through a gate. Various, but limited, parking places in laybys along this road.Do not block any farm or field access points. Although it looks a bit of a drag to walk back from Landing field (L2) to cars, it's really not far as there is a footpath and bridge over the river just north of Low Beckside Farm, bringing you out near the first gate. 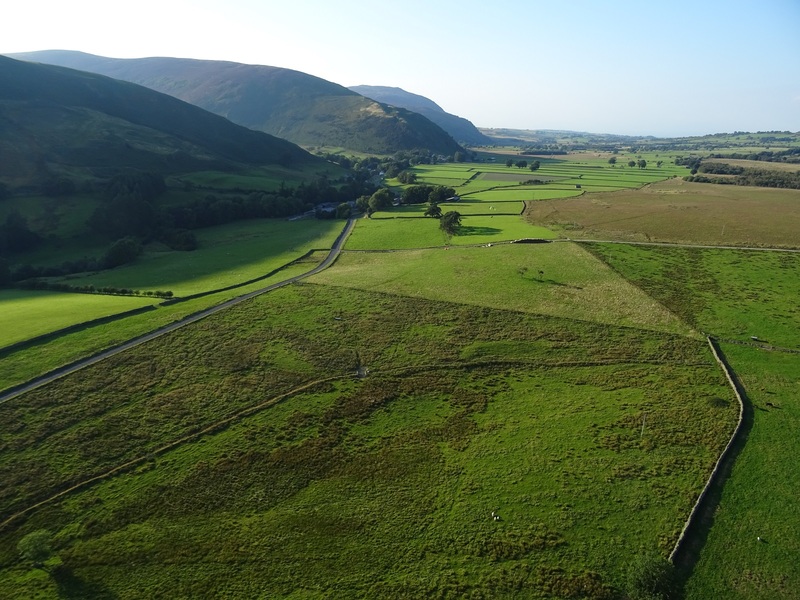 A path leads diagonally across the face of the slope from NE to SW.
For a bottom landing field; Low Beckside Farm, Mungrisedale (WINDSOCK SCHEME IN OPERATION). Be wary of penetration problems in strong winds, being blown back could be worrying in the extreme! Power lines along the eastern end of the landing field. Being blown back at Souther would be very dangerous. If you are concerned about windstrength, it is not much hardship to leave your kit at normal take-off and walk to the top to to check. There is a farmer nearby who is not keen on flying activity. If confronted please remain polite and walk away. Land in the official field (permission from Low Beckside Farm) Ask at the farm - if no one is in, then go in to the barn on the left hand side of the farmyard (under the covered area). The door is unlocked and the CSC windsock is immediately to your right. Please ensure it is returned when flying finished for the day. 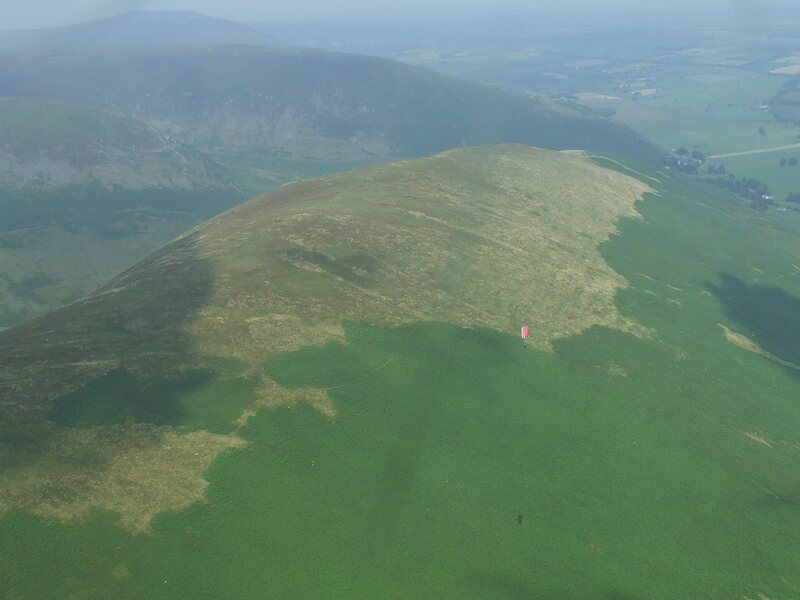 Easy top landing and slope landing, if bracken areas are avoided. Good thermal producer, and quite easy to get away, but the sea is only about 35 km downwind. Possible to cross to Carrock Fell if wind is off to the East, or onto Blencathra if off to South. General view of the ridge from the South West end, looking North East towards Mungrisdale. Launch is typically from just above the bracken line, to the right of the red wing - or much lower down on a good day if you can avoid the bracken! Photo by Dave Horne. Looking to the South west and down onto the Souther Fell ridge. 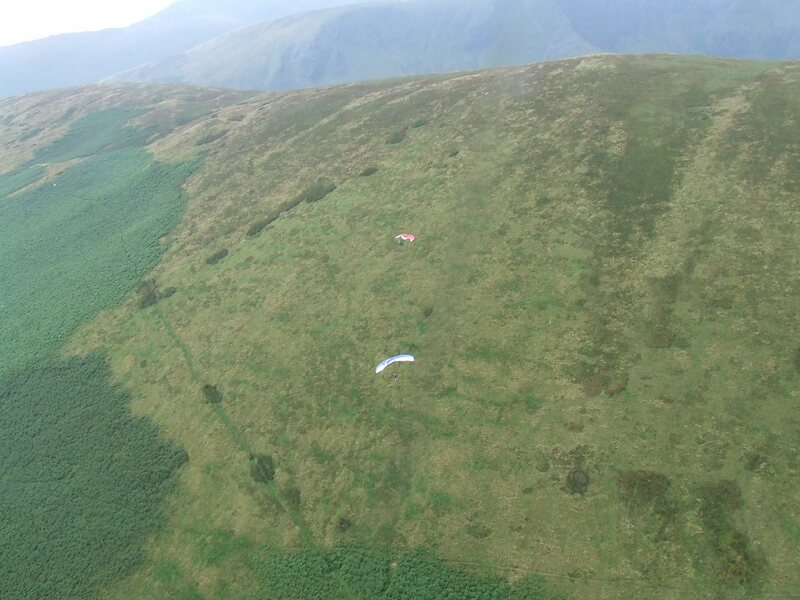 View of the launch location above the bracken, with two gliders still on the ground - Ken West (CSC) and Andrew Maltby (NHPC). Photo by Dave Horne. Aerial shot of the side landing area - very tricky if there's any lift about! Landing is above the road and you do pretty well if you land on one of the more grassy areas in the roughly triangular section (the area with the glider in it). Otherwise you have to indulge in a fair bit of gardening - depending on the season - to remove bracken from the lines and wing. Photo by Dave Horne.